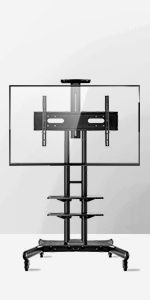 Flagship model TS1551 is a rolling TV Cart designed for televisions with most common diagonals - from 32” to 65 inches. 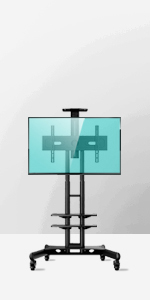 Mounting television screen on a portable cart is an easy and modern solution for big and small businesses, conference rooms and boardrooms, classrooms, professional, non-profits and community organizations, expos, trade shows, educational and entertainment venues. Truly a smart solution for your smart TV! Imagine spot on marketing, information sharing, streaming, telecommuting, teleconferencing possibilities. 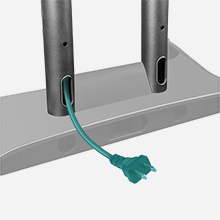 Connect and display any information in any space with electrical outlet. Great for hoteling work stations, gaming and home entertainment. 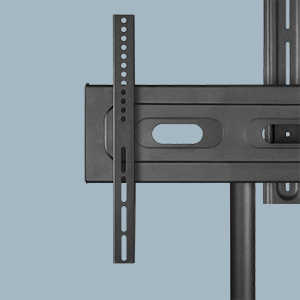 Easy way to avoid permanent TV wall installation and have television set handy where you need it – any room in the house, outside, in rental apartment, converted garage and game room. Perfect for Super Bowl party on your patio or illustrating your travel stories while entertaining company. 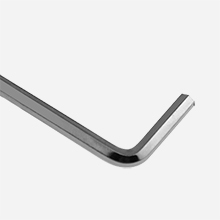 Trusted design - excellent support. 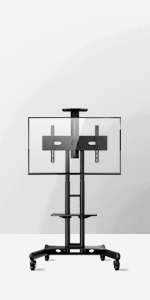 Supports televisions with diagonal from 32” up to 65 inches. 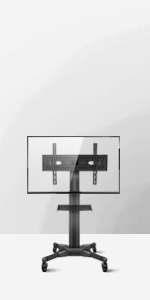 Fits practically all modern screens - LCD, LED, OLED, Ultra HD, plasma, curved and flat panel screens. 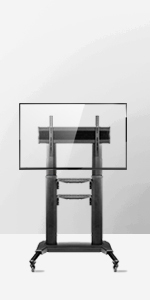 VESA mounting standards: 200x200, 200x300, 300x200, 300x300, 400x300, 400x400 and 600x400mm. 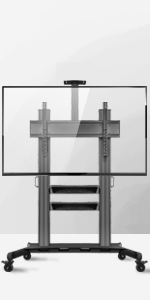 Strong and durable frame is made of SPCC steel and can easily hold TV sets weighting up to 100 lbs (45 kg). This cart has undergone triple load test - it is safe and sound. 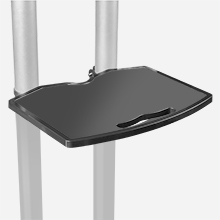 Telescopic columns designed to lower or raise your TV screen without any tools. No need to take the TV off the mount. 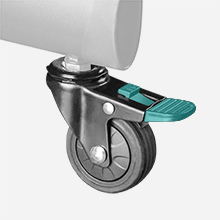 Available height adjustment range is from 47.2" up to 59 inches off the floor in 2-inch increments. Comes with 2 shelves for your accessories - one under the monitor with load capacity of up to 25 lbs for audio video equipment, receivers, gaming accessories or laptop, and a smaller one on top, with additional 10 lbs capacity weight, often used for webcam. 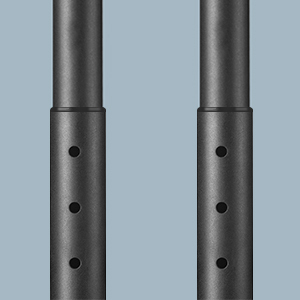 Hide all the cables and wires inside the telescopic columns - enjoy the view!